You can use sticker labels for all kinds of things. 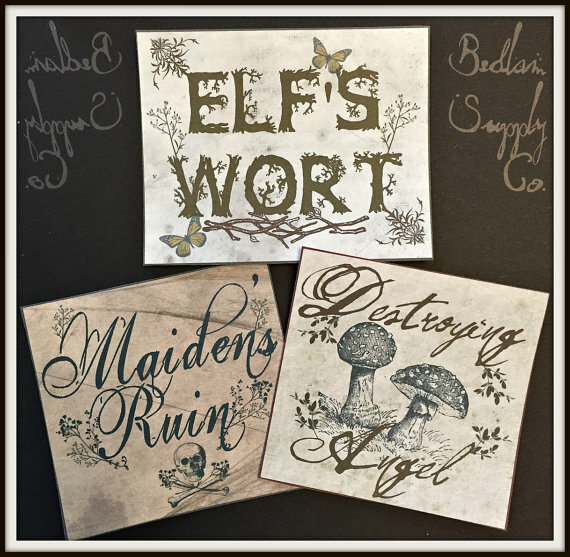 Think about all the boring items you own that you can enhance with these sinister gothic and Halloween sticker labels from Bedlam Supply Co. on Etsy. Now they can be creepy and dark, just the way like it! Check out which creepy stickers are available below. I think that this Halloween Night sticker assortment is great for more than Halloween. You can creatively use these all year around. For instance, the sticker that says "Embalming fluid" could be used to label a jar with tea in it! 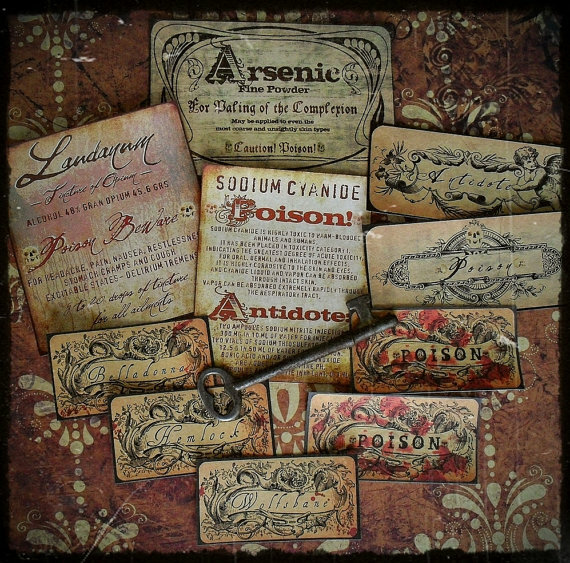 As silly as it sounds, I love the idea of labeling my drinks with poison labels. This murderous lovers poison set has a dangerous dark assortment. 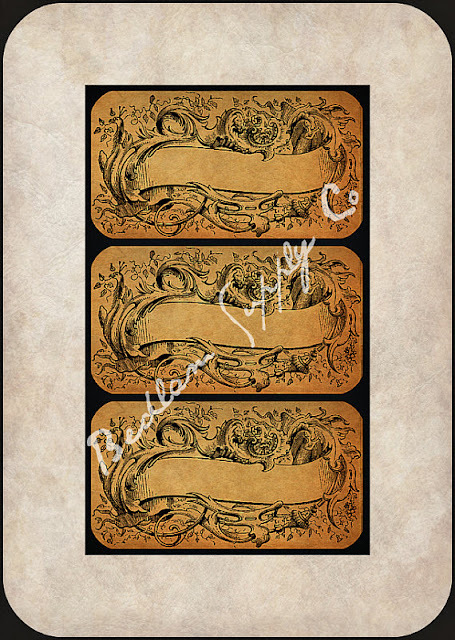 I like having these blank Victorian garden style sticker labels. If you know someone who has great calligraphy skills, you can write whatever ghastly things on them. Put them on books or gifts. Get creative! 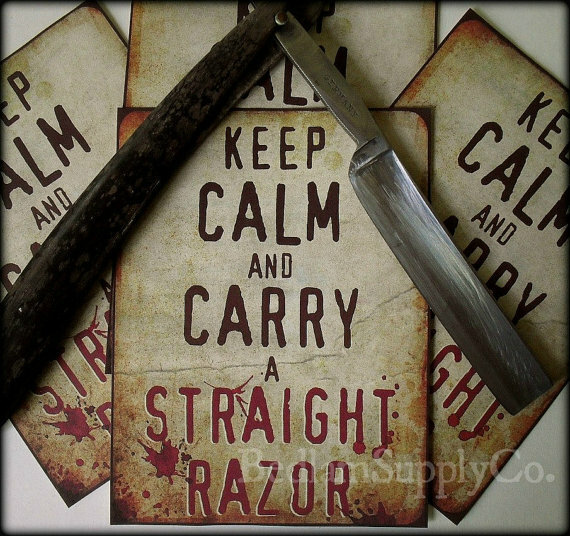 You have to giggle one you have seen this Keep Calm sticker set. The blood splattered everywhere just enhances your murderous intent! 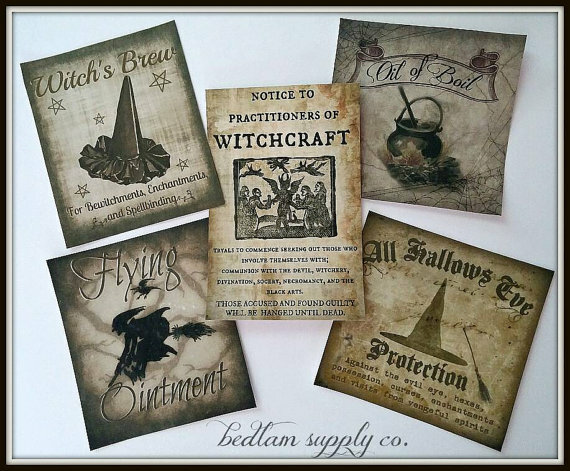 I can't help but enjoy this Witches, Everywhere Halloween sticker assortment set. This is my go-to Halloween theme and these stickers would come in handy. Plus you put these eerie stickers on anything for all year around. 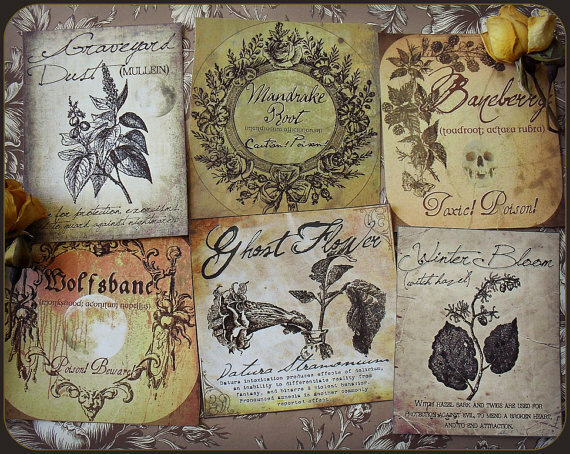 Using these A Witch's Herbal sticker labels is a fun way to pretend you are a wicked witch. I love the dark Victorian illustrations of these plants. What a fantastic way to start a new Lovecraftian cult. 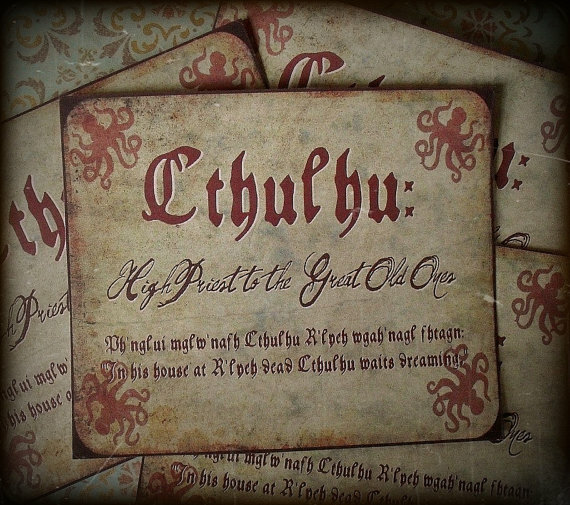 These Cthulhu Lives stickers look like an advertisement. These Whimsical Witchy Herbs sticker labels aren't as disturbing as I want them to be. I do like that they cover a different array of witchy herbs than the ones above. These herbs remind me of a fictional place in one of my favorite gothic fantasy novels. This is a great idea for Halloween, don't you think? 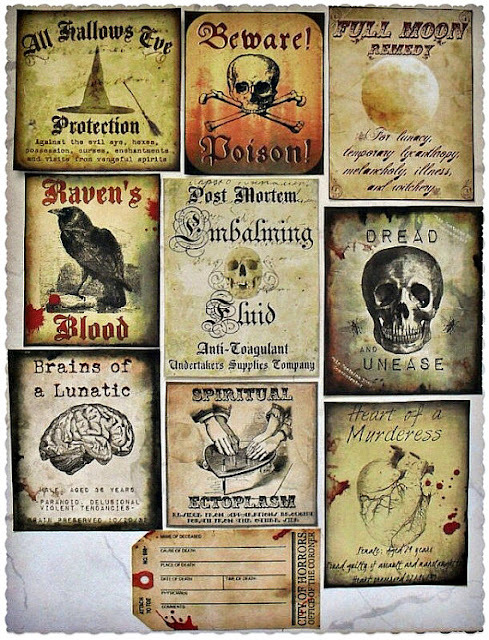 Plus, if you want to create a more eerie atmosphere in your home, these sinister gothic and Halloween sticker labels from Bedlam Supply Co. would come in handy. Which set is your favorite? Mine is Halloween Night sticker assortment. Tell me about it in the comments section down below!